Spring has finally sprung here in Melbourne, which means the weather is slowly beginning to warm. Not only does this provide us with idyllic conditions for all types of riding – whether on a commuter bike, ebike, or cruiser, but, it also means that a whole lot of exciting events are among us. The AFL grand final, Royal Melbourne Oktoberfest, Melbourne Fashion Week, Spring Racing Carnival, and of course – the launch of our very own limited edition Alpine White Amsterdam Elite NuVinci Commuter Bike. Read on below to hear more about these events, as well as our new limited edition Alpine White Commuter Bike. The month of September is all about the AFL, as the footy finals take centre stage throughout Melbourne – all leading up to the last face off – the grand final. Whether you’ve been following along or not, the footy in September is a difficult thing to miss. As the last teams in the 2018 competition battle it out – Richmond, Collingwood, West Coast and Melbourne, we’ll soon see who finishes up on top. Unfortunately Lekker’s own team, North Melbourne, will have to wait until next year to have another chance at the premiership cup. If you’re unable to get yourself a ticket to the game, then the grand final parade might be something you’d like to get a long to – as the players from each team parade throughout Melbourne on the Friday before the big game. Since the 1800s, Oktoberfest has been the world’s largest beer festival. In celebration, the Royal Exhibition building will host the 2018 Royal Melbourne Oktoberfest – the most traditional we’ve seen. With German oom-pah bands, folk dancing and on-stage competitions, an electrifying atmosphere is guaranteed. With over fifty imported beers available on the day, as well as other drinks, and traditional meals being served, it’s a unique experience not to be missed. Both day and night tickets are available. Melbourne’s Fashion Week ran over eight days, toward the end of August until the beginning of September, celebrating the best in Australian fashion. Encompassing a wide range of events – runways, workshops, films, talks, music and parties, it sure does have something for everyone. Involving more than 300 designers, as well as 10 runways, it provides a unique environment for fashion designers to put their collections on display. Although it may have already passed for 2018, their website still has all of the information online. It won’t be long until the 2019 season is here too. The time has arrived – Melbourne’s Spring Racing Carnival – a series of horse races held each year during October, and November. The most prestigious of these, is of course the Melbourne Cup, held on the first Tuesday of November each year – also being a public holiday. The carnival enjoys a large amount of popularity, assisted by it falling at a transitional time in Australia’s sporting calender – with the AFL season having just finished, and the cricket season yet to begin. Each year, the carnival draws over half a million visitors to Melbourne, with 2018 looking like it will be no exception. Landing in September, is our brand new premium limited edition Commuter Bike – Our Amsterdam Elite NuVinci in a very sleek Alpine White finish. Landing in a series of only 18, this new model won’t be sitting in our shops for long. Being our most premium Commuter Bike, our Amsterdam Elite NuVinci features the award winning NuVinci N330 gear hub, advanced belt-drive technology, as well as a 100% aluminium frame and fork design. All of these features provide riders with seamless shifting through an infinite number of gears, a completely quiet and maintenance free system, as well as a frame, fork and componentry that are all 100% rust free. With all of this packed into our brand new Alpine White Commuter Bike, we promise it to be a truly unique and rewarding experience. With all of the above to look forward to this springtime in Melbourne, we feel there’s really no reason not to be out there to enjoy it all. Whether you’re already the proud owner of a two-wheeled ride, or are in need of a new one to get you out and about – we invite you to come and check out the wonderful world of Lekker Bikes. 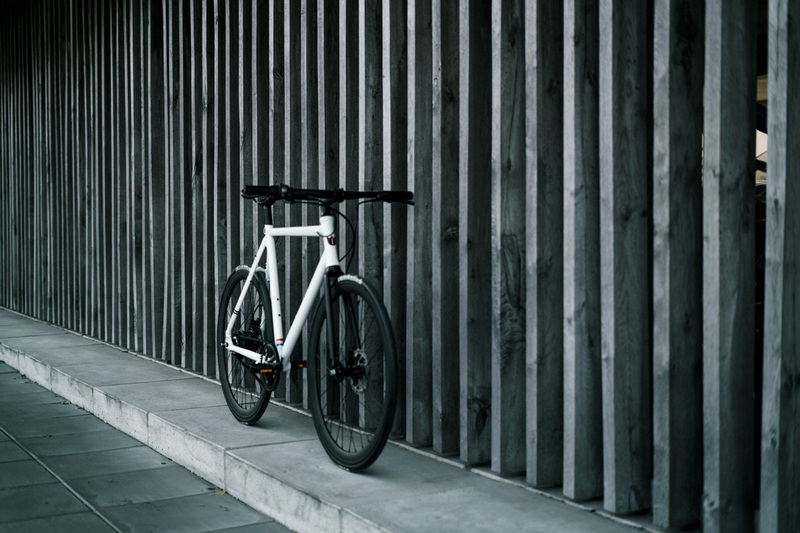 With premium Commuter Bikes, Vintage Bikes, accessories and componentry, we’re here to cover all of your cycling needs. Visit one of our branded shops in Melbourne and Sydney to meet our team, and of course for a free test ride too. Wishing you happy springtime riding! The Lekker Team. Lighting Up Your Bike? What Can Lekker Do For You?